If you live in the border states, you can cross international borders and visit our neighbors to the north or south. But what do you need to know? 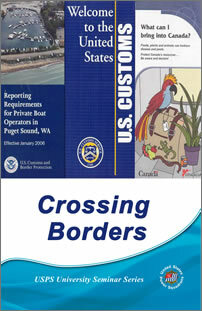 This seminar explains the immigration and customs process and the programs that enable boaters to easily cross into Canada, Mexico or the Bahamas. Be prepared by having the correct documents; we can help you get there.